As a mother, you want to give comfort to your kid as much as possible. Especially during night when they are about to sleep, you want to tell them that everything is safe and okay. A younger kid has the hardest time to control their bladder so they have issues of wet nights. We answer to them that by wearing the underwear they can be comfortable and would keep them dry all night long. Do we really know what kind of underwear to choose for our kids and would they be comfortable with it? Those are the questions we have. I am open to try different brands to see the difference on what would give comfort to my son at night. 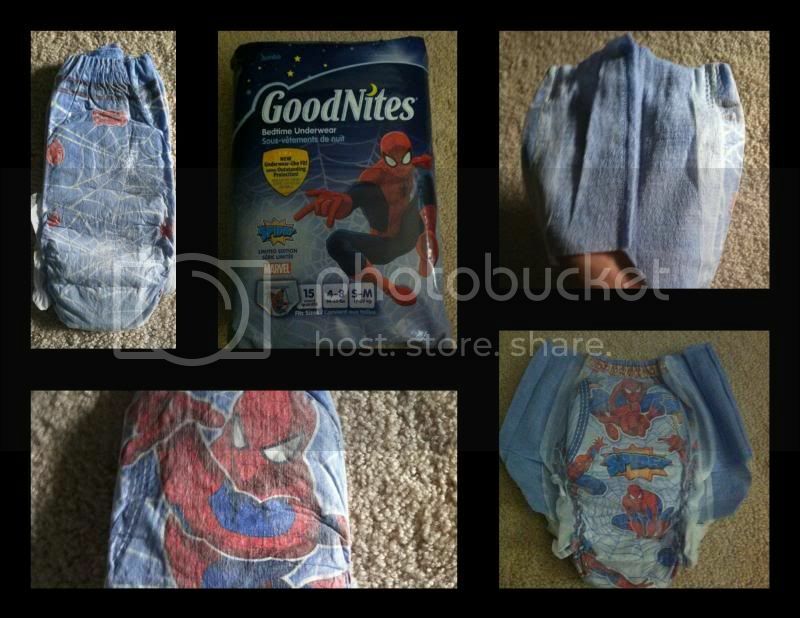 GoodNites sent me a free 1 Bedtime Underwear pack for my 3 years old son. The limited Spidey edition has 15 counts, which is good for 4-8 years old that weighs 38-65 lbs, fits sizes S-M or 17-29kg. My son loves the limited Spidey edition, and we both noticed there are at least 2 designs on the underwear. I am looking for the underwear that would keep my son dry all night, because that’s what I would like for him to feel and be comfortable at night. I have at least 3 nights to observe the product, the first night turns out to be good, the 2nd night goes by, and I have noticed in the morning that he has a wet spot on his bed where it seems he leaks. We don’t know how many times a 3 year old toss and turn while sleeping. I felt the inside of the underwear, and it seems dry to me. The 3rd night stays the same as the 1st night; as a result, I can’t simplify that each night would be a perfect night. It also depends on how much liquid my son drink before bedtime, for that would be another issue of the overflow. With the help of GoodNites underwear, I have seen the advantage and disadvantages of the products. I am happy that I was given the opportunity to try GoodNites brand and finds out that each brand has different benefits. GoodNites has an open forum where mothers exchange their ideas and experiences with the product. Maybe you want to join and sign up and tell your stories with other mothers. Just sign up at the GoodNites Facebook page to start reaching out to other mothers. One more thing, if you checked the package inside you’ll be able to see a piece of sticker inside gently fill it off to get a free coupon of $2.00 off on any 1 [one] package of GoodNites Underwear. I have no children but it makes perfect sense to me for Mother's to try different brands to see which works best on their child. All children are different and diapers are not one type fits all!! That does have an adorable design! That's a good one to use. I am glad my kids are over that stage. Oh this takes me back to when the kids were little x Love the design! I'm so glad my kids are potty trained, but it's really helpful to have so many resources like this to help make the transition out of diapers. I think it is good that companies have different products for night wear. My kids are older so I don't have to worry about this anymore. Soon enough my about 23 months toddler will use like this. And yes, even now I already have in mind that she has to use never the less. I liked trying all the brand names and compared to see the best! I am glad that your 3 nights observation with GoodNites were good.